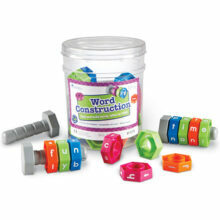 It’s fun to learn and then write out these 159 high frequency, essential vocabulary words. 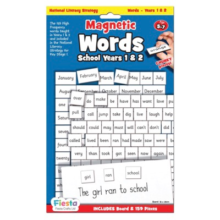 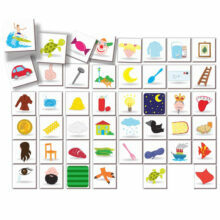 The fun-packed double-sided Magnetic Words boards spell the end for boring word lists, as children take pleasure in learning words, forming sentences and writing practice through suggested activities like Bingo, Hangman and Storymaker. 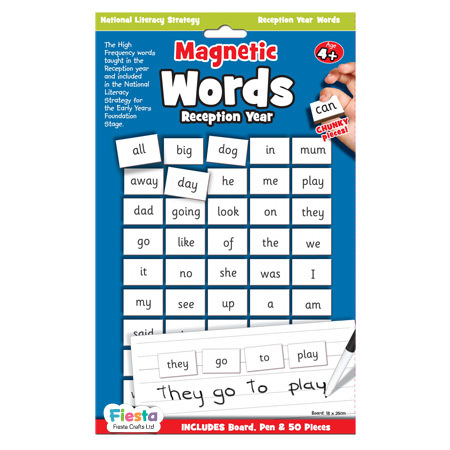 Set includes a dry-wipe board or you can simply stick the word magnets on the fridge.